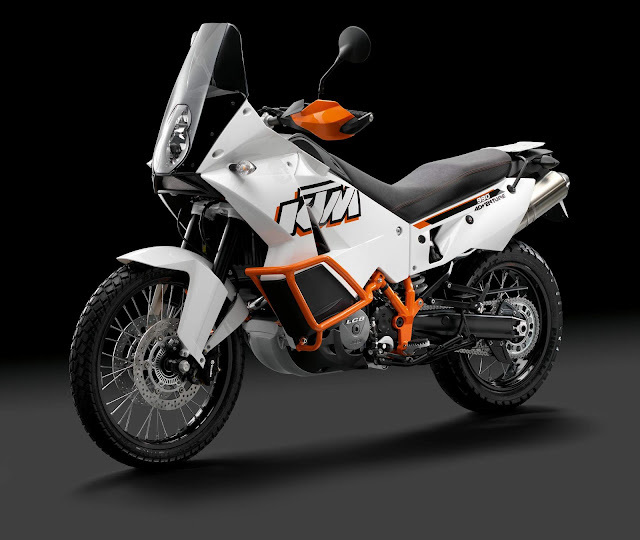 Produced between 2006-13, the Adventure 990 hailed from Austria - home of KTM. It was designed as a dual-purpose machine - equally happy on- and off-road. In large part, that was due to its engine - an LC8 liquid-cooled 4-stroke 75° V-twin. Clocking in at 999cc, power output was 105bhp. With a dry weight of 461lb, the Adventure maxed out at 123mph. The bike was honed by the rigours of the Paris-Dakar Rally. Probably not much pre-release testing was required after that! The Adventure's long-travel suspension came courtesy of Dutch masters WP. The bike's flexible tubular steel frame was among the many parts which were near-identical to those on Fabrizio Meoni's KTM 950 desert racer. Indeed, he had won two of the three Paris-Dakar rallies preceding the Adventure's launch. A serious sales pitch! Styling-wise, the 990 was supermodel tall and svelte. But this was a supermodel that packed a punch - as in 100 N-m of torque, at 6,750 rpm. And with its chromium-molybdenum trellis frame, the Adventure could roll with the punches, too. As far as all-round capability comes, then, the KTM Adventure 990 was about as versatile as a motorcycle gets!